I has been ages since my last southern calamari, but it was well worth the wait! For those who can not tell the difference, you can see the wings go up to the head, whereas the the arrow squid are shorter, giving it the appearance of an arrow. 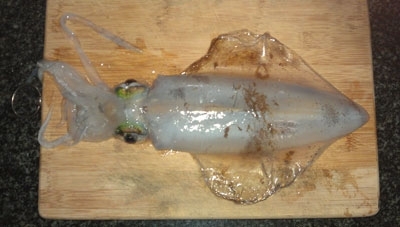 You can also tell by the size of the eyes, the southern calamari have large green eyes.